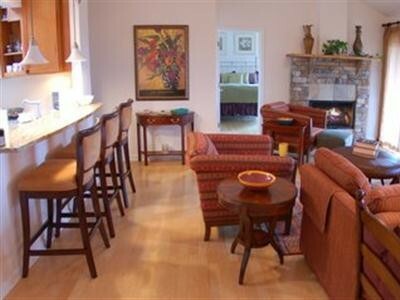 The Guesthouse Lost River, an award-winning Inn with 18 Guestrooms & Suites, just two hours from Washington DC. Mountain retreat nestled in the George Washington National Forest on 30 acres. Offering an outdoor swimming pool, fine dining restaurant & bar and lounge. Proudly recognized as Food & Wine Magazine's "Coziest Restaurant" in West Virginia. The Guesthouse Lost River has been recognized since 2011 as an TripAdvisor Certificate of Excellence Award Winner. There's the beaten path and then there's the road less traveled... to the Guesthouse Lost River! Rustic yet refined is what you will experience at the Guesthouse Lost River, an award winning Bed & Breakfast and Inn. The Guesthouse is located in Hardy County, WV (approx. 2 hours from Washington DC and 3 hours from Baltimore, MD). Our Inn has been a relaxation getaway destination for over 30 years. It is located on 30 private acres and surrounded by the George Washington National Forest with views of the mountains and spectacular sunsets. The Guesthouse Lost River has been named "Best Weekend Getaway" from DC and featured in several Washington DC and Baltimore publications including a feature by Washingtonian Magazine. In 2012, the Guesthouse was named to the "55 Good Things about West Virginia" by the State Journal, featured article in the Summer edition of the Baltimore City Paper, named by the WV Tourism Board as one of the 101 Unique Places to Dine in West Virginia and honored by TripAdvisor with a 2012, 2013, 2014, 2015, 2016, 2017 & 2018 Certificate of Excellence. The Guesthouse was featured over the cover of DC's Metro Weekly magazine for Fall Getaways and also featured in the Fall 2012 Baltimore Magazine as a place to escape. Most recently, the Guesthouse was featured in the Fall issue of WV Living Magazine with an article focusing on the Guesthouse Restaurant and received national acclaim in the New York Times Newspaper. 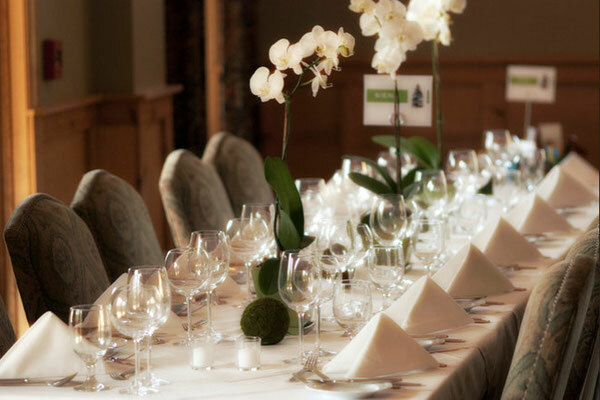 The Guesthouse Kitchen and Bar was selected by the Appalachian Regional Council to be featured as part of their Bon Appetite Appalachia selection of Farm to Fork innovative businesses located in the Appalachian Mountain Region. The Guesthouse Kitchen and Bar is honored to be selected by Food and Wine magazine, as the Coziest Restaurant in West Virginia. We are thrilled to be included in this list of restaurants and bars from all 50 states! The Guesthouse Lost River consists of 5 lodging buildings: Builtmore Cottage, Hobson Cabin (formerly Redbud Cottage), Carriage House, the Tower and Guesthouse building. 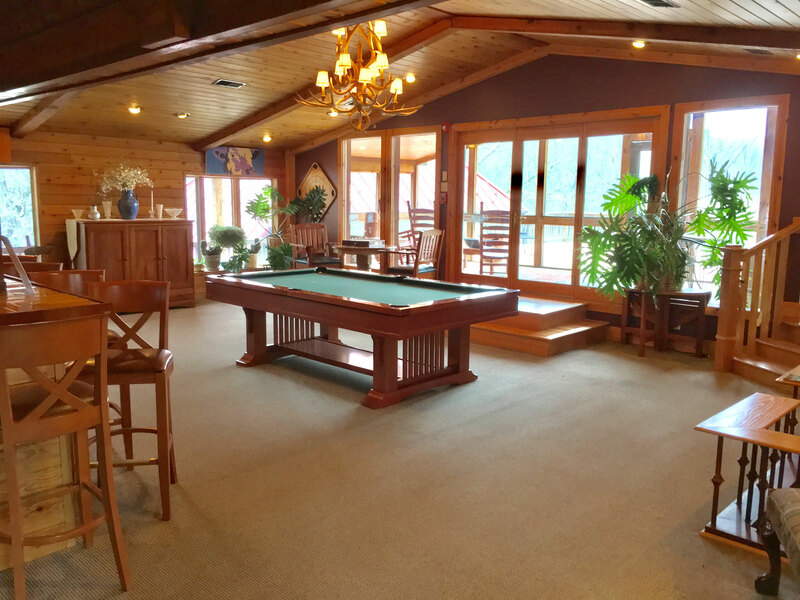 In the Guesthouse building there is a full 24-hour gym and guest-access lounge with gas fireplace. The Guesthouse Main Lodge consists of several large gathering and relaxation spaces, billiards room, game tables, breakfast room, restaurant and lounge. 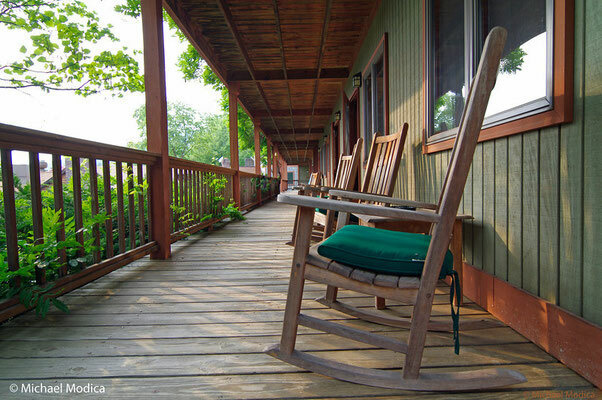 All lodging buildings are located within walking distance of the Main Lodge; with over 30,000 square feet under our many angled roofs, plus thousands additional square feet of outdoor decks with numerous seating and rocking chairs for relaxation. 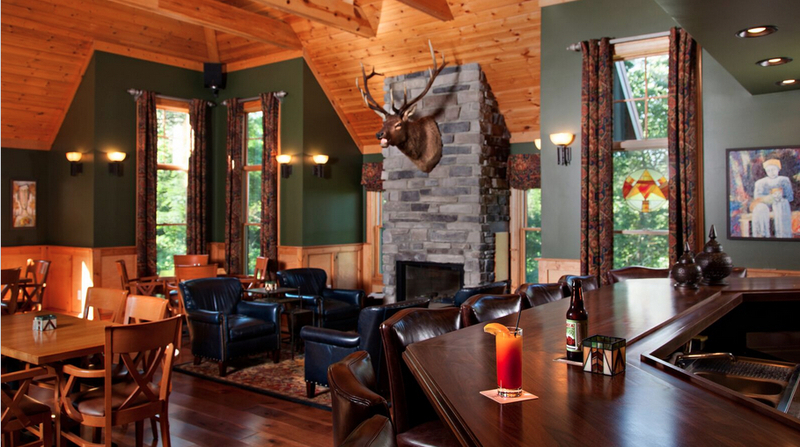 Come curl up by a fire with a book, enjoy a hand crafted signature cocktail or craft beer or play pool. If venturing outside the Guesthouse, the lure is the rugged woodland scenery, state parks, tumbling mountain streams, and outdoor fun -- hiking, fishing, biking, canoeing, swimming, rafting or horseback riding.